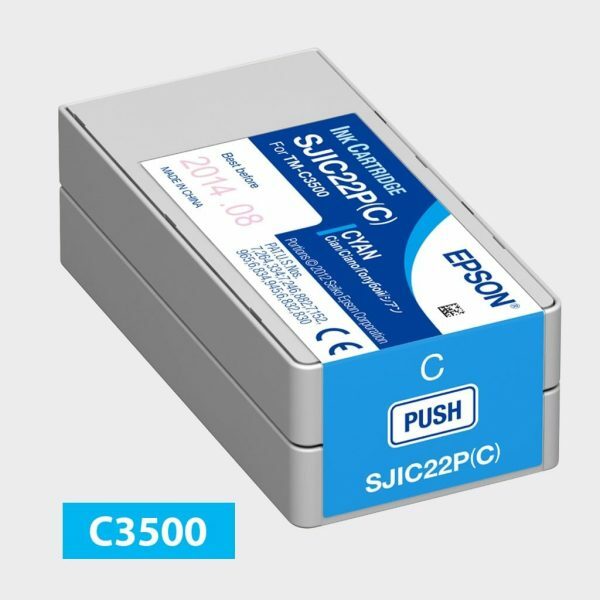 Epson SJIC22P, C3500 Cyan Ink Cartridge – Color Label Solutions, Inc. Replacement cyan ink cartridge for the Epson ColorWorks C3500 Color Label Printer. This is a pigment dye-based cyan ink cartridge. This is a genuine Epson brand replacement cyan ink cartridge for the Epson ColorWorks C3500 Color Label Printer. It produces crisp graphics, text, and barcodes without smudging or smearing. 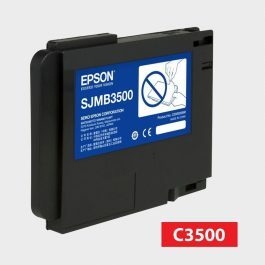 The SJMB3500 maintenance box for the Epson ColorWorks C3500 Inkjet Label Printer. 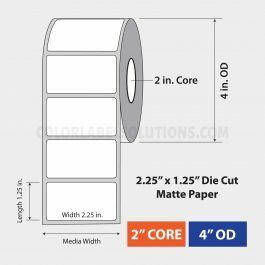 2.25″ x 1.25″ die cut inkjet coated matte paper label. 2″ core, 4″ OD. 750/roll, 8 rolls/case. $/case. For use with Epson ColorWorks C3500 and C3400 color label printers. 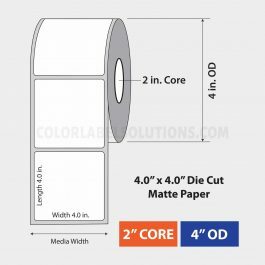 4″ x 4″ die cut inkjet coated matte paper label. 2″ core, 4″ OD. 250/roll, 8 rolls/case. $/case. For use with Epson ColorWorks C3500 and C3400 color label printers.